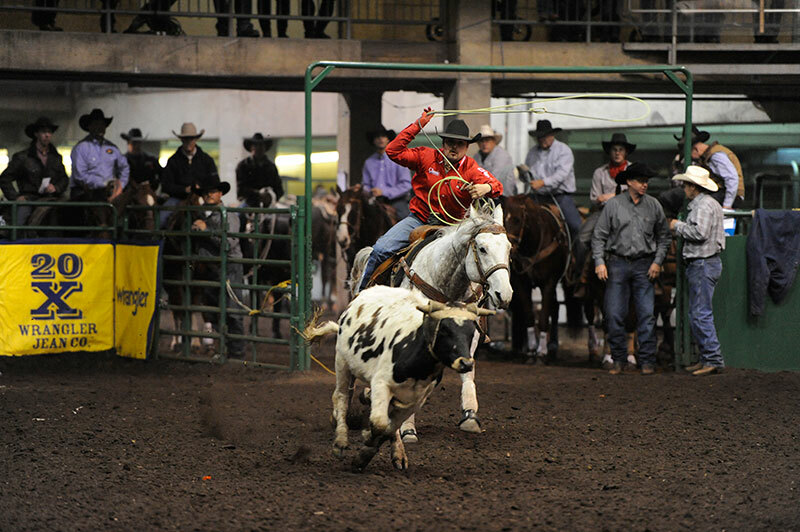 Team Roping Futurity, Canada’s top rope horse title for horses five years and under, is a guaranteed five head judged event that showcases the best young rope horses competing for part of the top prize. 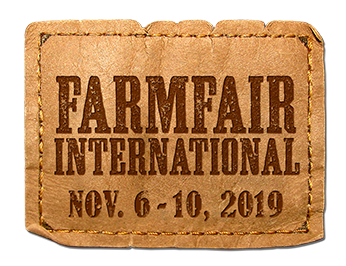 This unique event is now in its 6th year and has become one of the hottest competitions at Farmfair International! You’ll see four and five-year-old horses compete for $25,000 in prize money, with horses and riders coming from all three western provinces and the United States. 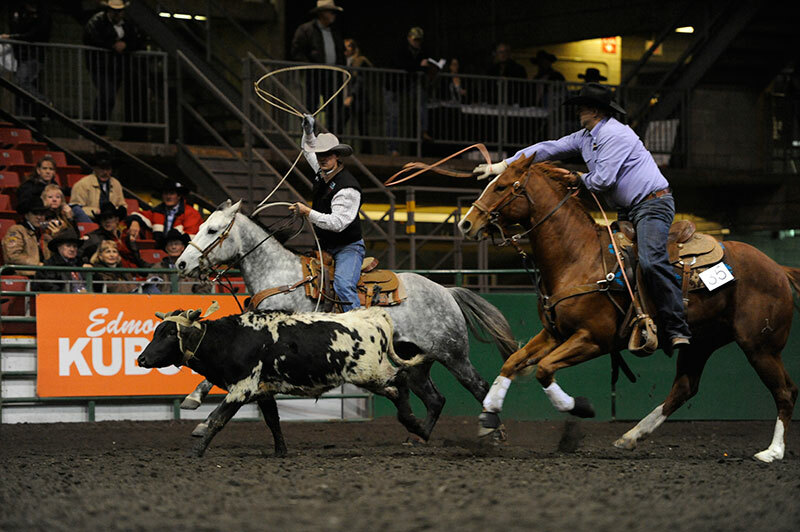 This is a judged event, and provides breeders and trainers with a unique opportunity to promote their horses to team roping enthusiasts from across Western Canada! 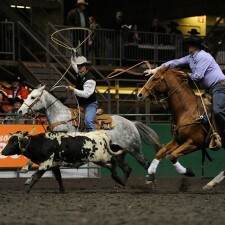 Any horse that goes through the sale ring (including those that do not meet their reserve bid and are passed) at the Bloodstock Sale at Farmfair International is then eligible to return to the Northlands Barrel Racing Futurity or the Canadian National Team Roping Futurity as four or five year olds. 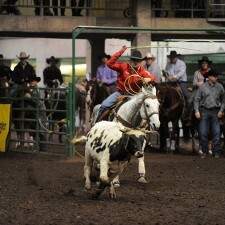 If there is a returning horse in both the Barrel Racing and the Team Roping, $5000 will be allocated to each event. Two horses per event: 60% goes to highest placing horse, 40% to lower placing horse. Three horses: 50% to the highest placing horse, 30% to the next highest placing horse, 20% to the lowest placing horse. Four horses: 40% to the highest placing horse, 30% to the 2nd highest placing horse, 20% to the third highest placing horse and 10% to the lowest placing horse. Horses are only eligible to the incentive money once.